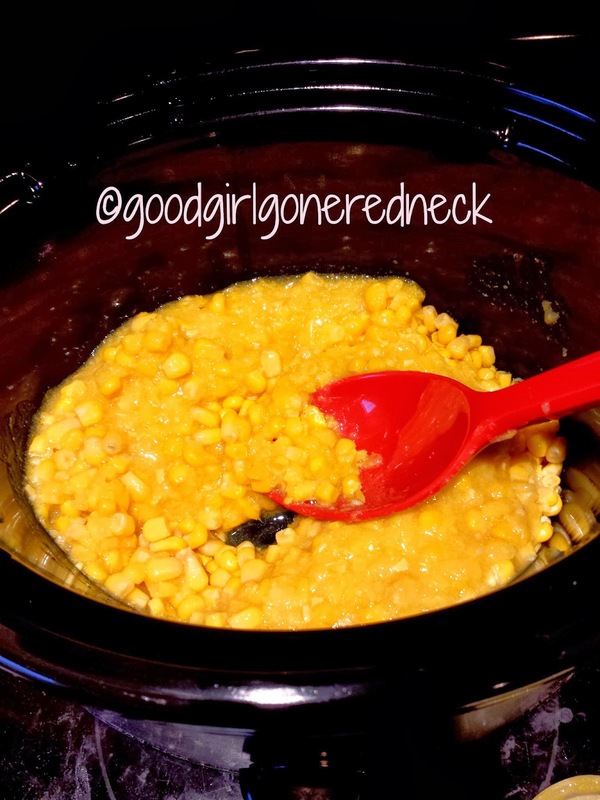 Good Girl Gone Redneck: Soup's on: Easy and Delicious Corn Chowder. 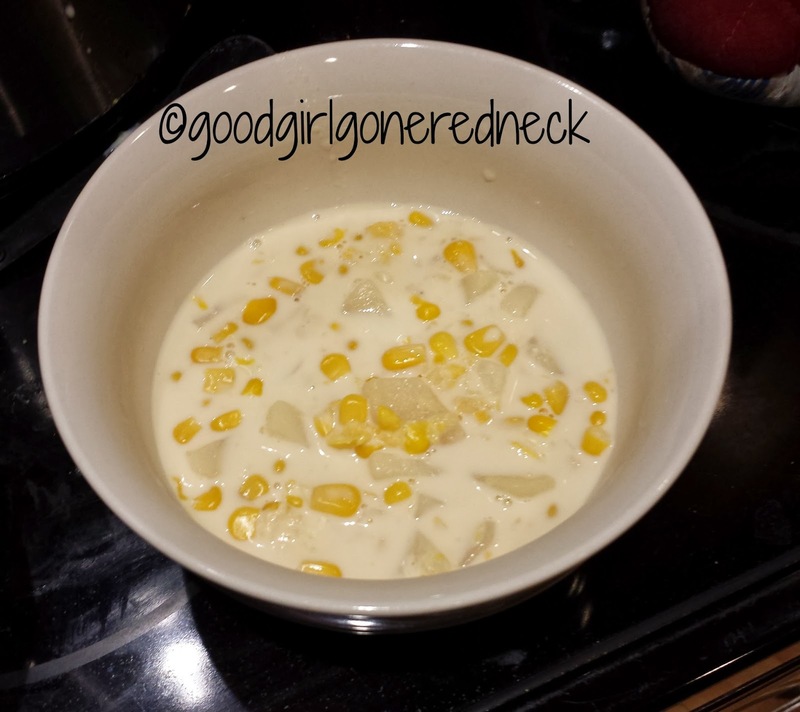 Soup's on: Easy and Delicious Corn Chowder. It's cold out there. 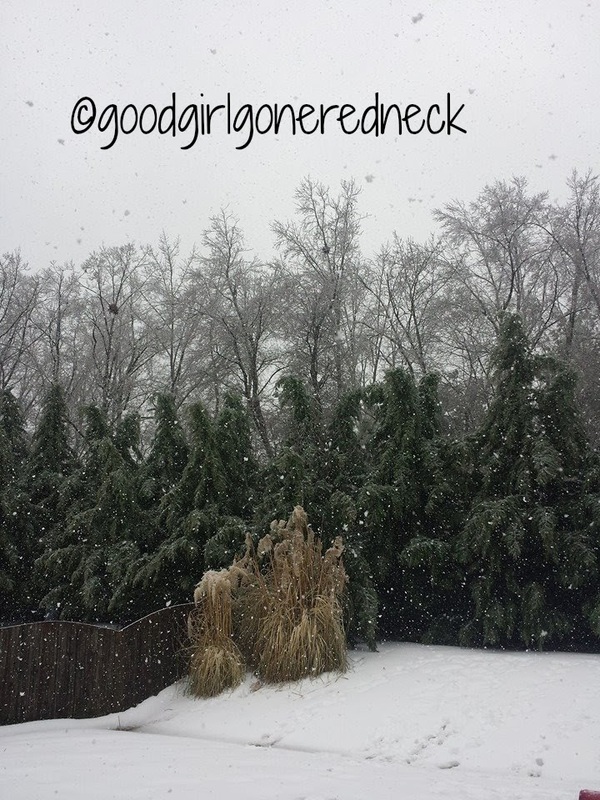 Even here, in NC, where one would think we wouldn't quite be dealing with a "wintery" winter, we ARE. Or we were. But it has to be over now. Right? 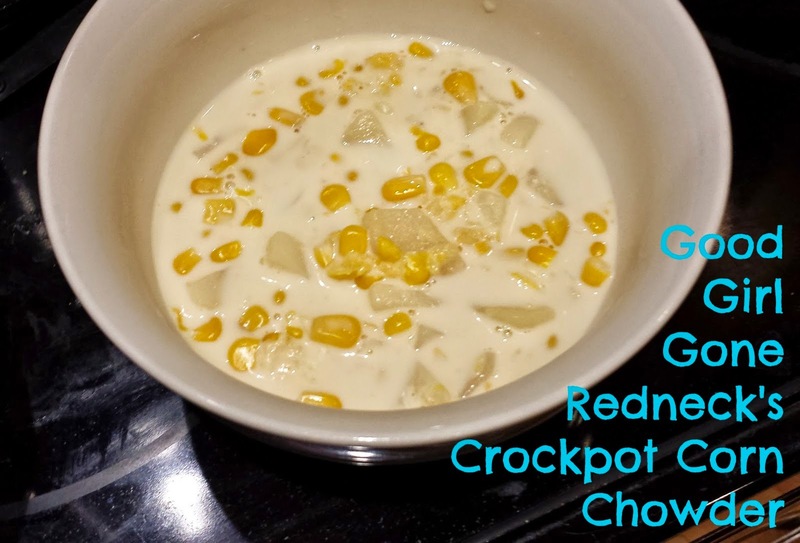 Now, let me tell you about this corn chowder. You can make it more difficult (not actually difficult, more like time consuming) for yourself, but there's really no need. 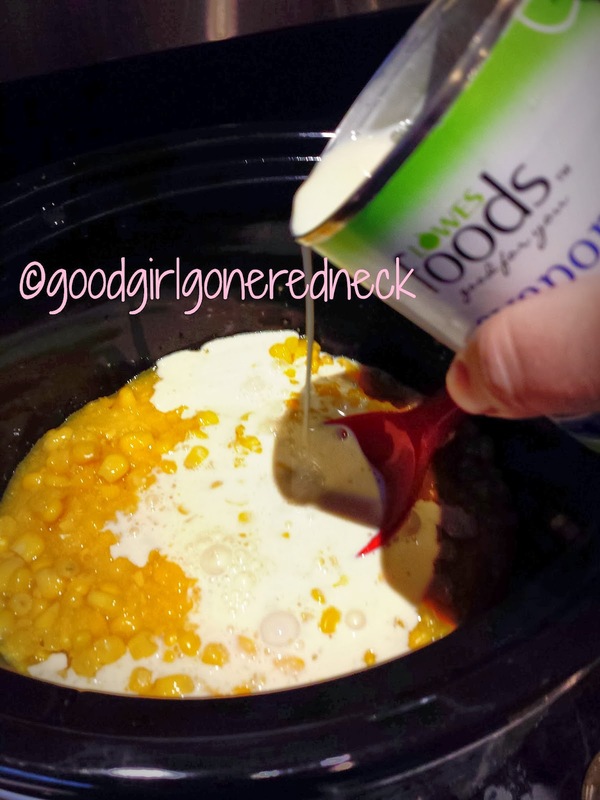 Combine a can of drained corn kernels and a can of creamed corn in your crockpot. Any regular pot is fine, too, I tend to prefer the crockpot so it can take care of itself. 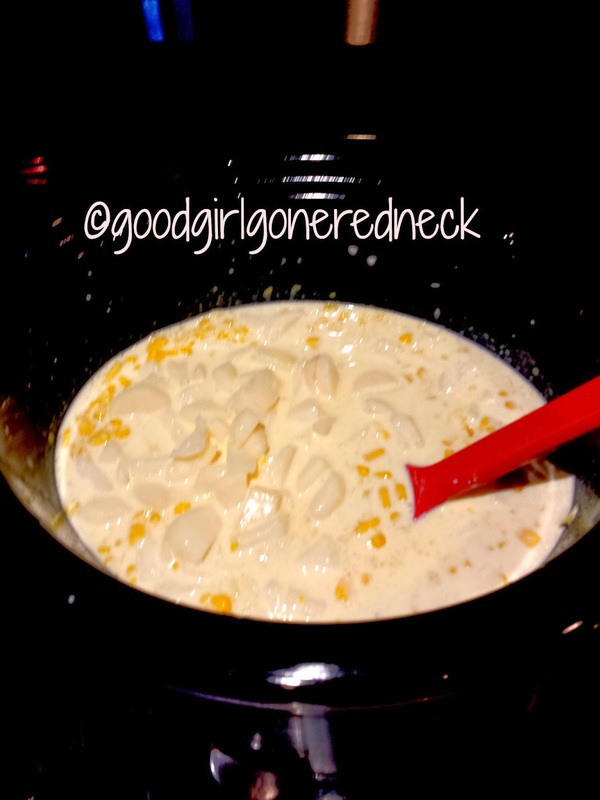 Add a can of evaporated milk. Drain a can of potatoes. Diced are my favorite for this soup, but whatever you have will work fine. You can cut them up if you want, which I did with these sliced potatoes. Canned whole potatoes probably won't work well, so definitely dice those. Fresh potatoes are amazing, but are time consuming and not required. Toss them into the soup as is. Right there you can see how much thicker it becomes. You can use chicken broth if you'd like. It does add flavor, obviously. I'm sure veggie broth would work just as well, but water is fine. Add salt and pepper to taste. And a splash of sugar. The splash for me was basically my grabbing a relatively small handful to toss into the soup. It just does something to the flavor that works. Let it cook for an hour or two, definitely longer if you have fresh potatoes in there. But you'd first have to sauté your potatoes in a little butter to get them soft enough to add to the soup. Simmer for a while before serving. Once you're ready to go this soup is ready for you. Let me know if you give it a try. Because you should. I promise. 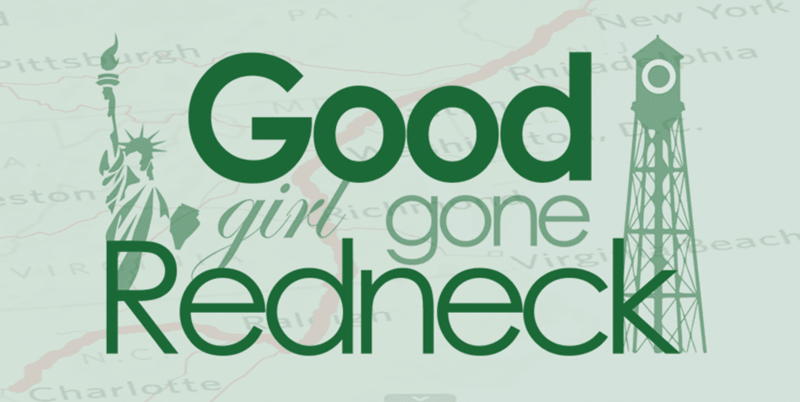 You're going to love it, it's THAT good. Enjoy! I'm repining this right now- it looks so good and easy! This looks super yummy and good!! I'll send you all our warm, Florida weather. 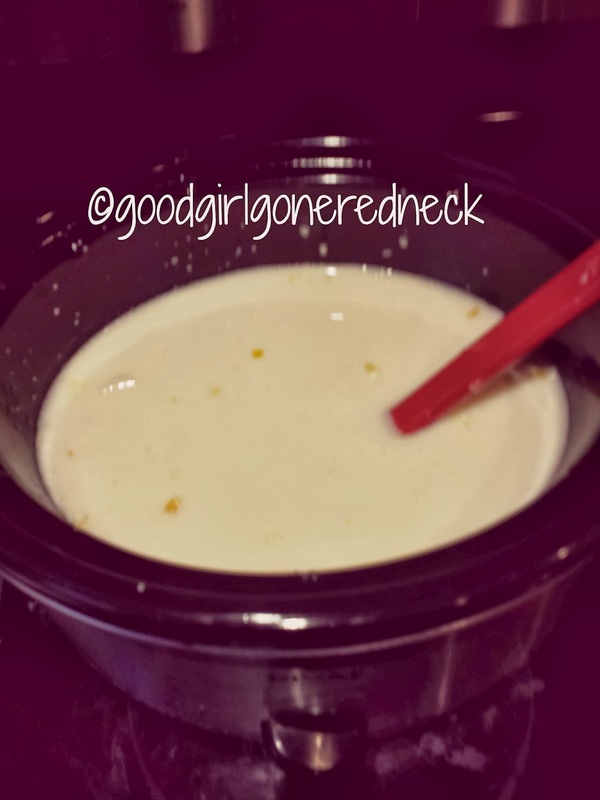 I love corn chowder! I make soups all fall and winter long...best comfort food ever! And easy is best of all! 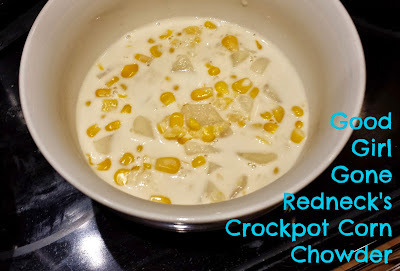 I love corn chowder. We grow our own corn in season. There's nothing better than soup during the cold winter season. This chowder looks incredible. Yum! looks delicious, pinned this to make later! 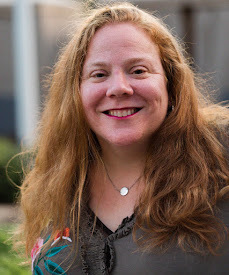 I just used the crockpot the other day, and every time I do I kick myself for not using it more often! 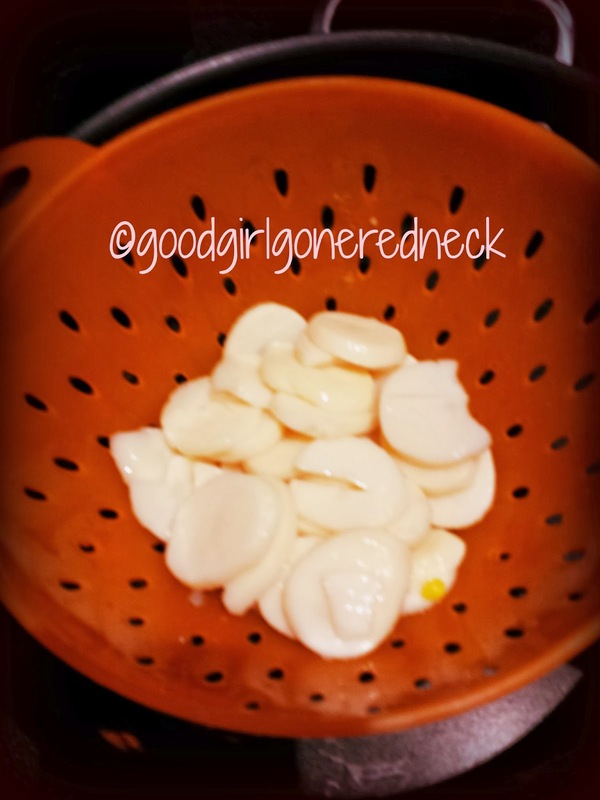 I wonder if this would work with fresh corn and potatoes if I just left it longer. What would I use instead of condensed milk? Cream?